Progress Lighting Legend Collection Chandelier is highlighted by a sculpted glass that is smooth on the outside with a subtle, nature-inspired pattern on the inside, appearing to come alive when illuminated. It utilizes (3) 100-Watt A19 medium base incandescent lamps for energy efficiency, superior color rendering and long life. 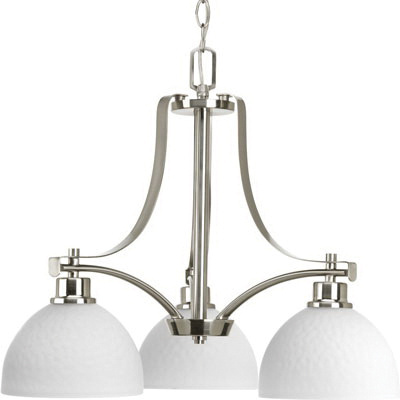 It is supplied with 6-ft 9-gauge chain and is suitable for dining room lighting and/or great room lighting. Chandelier is UL/cUL listed.